WE ARE FLYING. TOO FAR TO DRIVE WITH DIARRHEA. VAMOS A VOLAR. DEMASIADO PARA CONDUCIR CON DIARREA. In case you couldn’t immediately translate the title, it means, in Norwegian, “I Have Diarrhea.” If necessary, I would make that statement after following directions to the “apotek” (pharmacy), another of the phrases I learned before our first visit to Norway in 1998. I have never had to use either phrase (and I’m not complaining). However, I have demonstrated my knowledge to a number of Norwegians, who have only laughed. 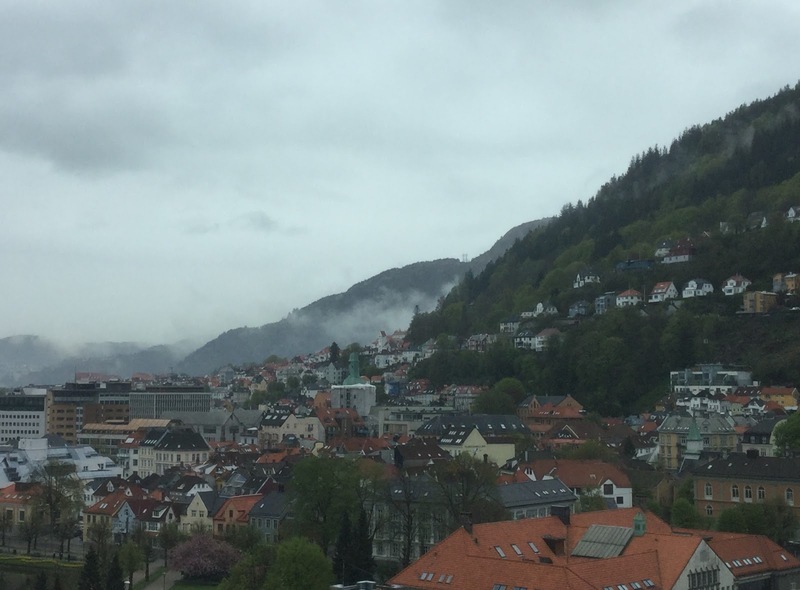 We arrived yesterday in Bergen, Norway, where, so I have been told, there is no such thing as bad weather, only inadequate clothing. It’s raining. We are prepared for anything. En caso de que no pudiera traducir inmediatamente el título, significa, en noruego, “Tengo Diarrea”. Si fuera necesario, haría esa declaración después de seguir las direcciones a la “apotek” (farmacia), otra de las frases que aprendí antes de nuestra primera visita a Noruega en 1998. Nunca he tenido que usar ninguna frase (y no me estoy quejando). 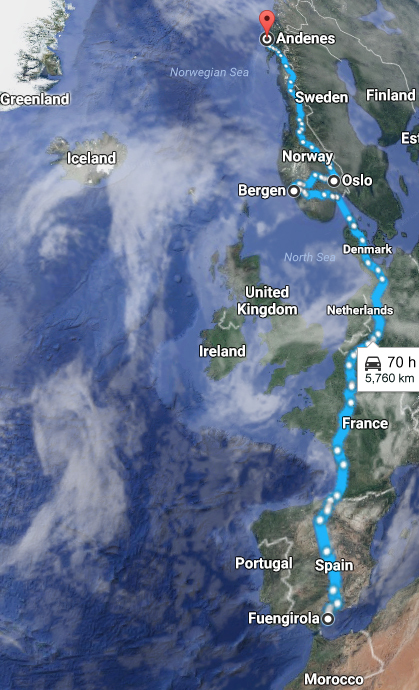 Sin embargo, he demostrado mi conocimiento a muchos noruegos que sólo se han réido. Llegamos ayer en Bergen, Noruega, donde, según me han dicho, no hay mal tiempo, sólo ropa inadecuada. Está lloviendo. Estamos preparados para cualquier cosa. Previous Previous post: Not Without Me, You’re Not! / ¡No Sin Yo, No Lo Eres!